If you’re new to the school you may not have heard of our 50:50 Club which is a monthly lottery where 50% of the income goes to the winning member and the remainder goes to the school. It only costs £1 per number per month or £12 per number per year and is open to any parent or staff member. 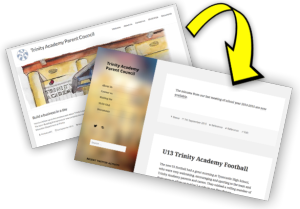 The draw is made at each Parent Council Meeting, and application forms for a one-off cash payment or standing order are already on the website. Standing Order – The form includes instructions to your bank to set up a standing order, either annually or monthly. 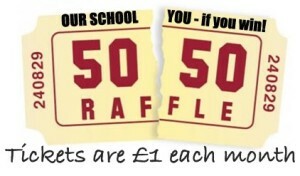 Cash or cheque payable to “Trinity Academy Parent Council Lottery”. The more members there are, the bigger the prize! Here’s some information about Trinity Academicals Rugby club written by David Barnes, a former pupil of the school. 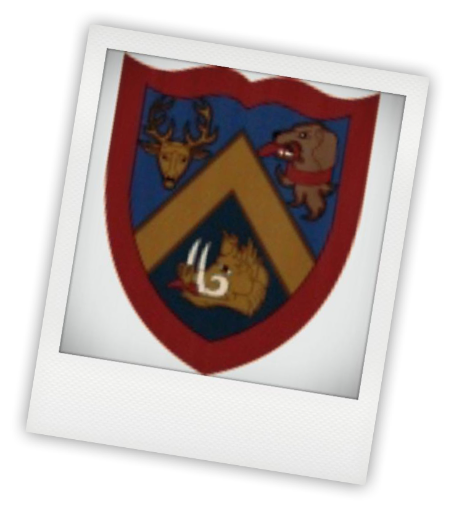 TRINITY ACADEMICALS RFC has had an encouraging start to the 2015-2016 season, having won two of their first three matches, and with player numbers up on recent years, the club has high hopes of winning promotion into BT East League Division One at the end of the campaign. The current 1st XV squad contains a strong contingent of proud Trinity Academy alumni, who either view the club as the final destination in their rugby career, or as an excellent stepping stone to one of the several senior clubs in the area with whom we have forged strong working relationships. We are very keen to further strengthen our links with the school, which we recognise as playing a very important role in developing the next generation of rugby players in north Edinburgh, and welcome any suggestions and recommendations which may help us attract new supporters. 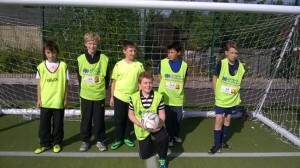 We pride ourselves on being an open, inclusive and family orientated club which caters to all ages. To that end, we promise a warm welcome to both new members and infrequent guests at our Bangholm base. If you manage to make it along on match day then please introduce yourself to our president, Ross Findlay who is sure to buy you a beer (or a coffee from our newly installed commercial coffee machine). The cosy member’s bar at Bangholm is open from an hour before kick-off, and pies are available at half-time. Training is on Tuesday and Thursday evenings (starting at 7pm), while our fixture schedule can be found on the Scottish Rugby Website. One of our school’s S6 pupils has been selected to represent the U18 East District Hockey team for the second year in a row. This is an excellent achievement as only two goalkeepers are selected from across the whole of Edinburgh and the Lothians. She has also been selected as Vice-Captain for the side. The Rector would like it to be known that he will be available to meet with parents without appointment from 3.30 – 5.00pm each Monday to discuss any issues. Appointments may also be made by contacting the school office. Over the last year we’ve experienced too much ‘downtime’ on the Parent Council website. This meant that often it wasn’t available as a source of information and also that it wasn’t available for us to update as frequently as we’d like. The problem was caused by the performance of the free hosting service we were relying upon. The new site will be much more robust and has been redesigned to ensure it works perfectly on all devices, including phone screens. The minutes from our last meeting of school year 2014-2015 are now available. The new S1 football had a great morning at Tynecastle High School, who were very welcoming, encouraging and sporting to the team and Trinity Academy parents and carers. 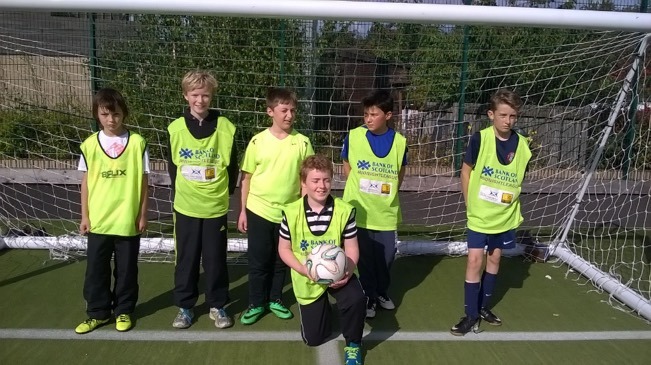 They subbed a rolling member of their team to allow us to play 7-a-side in our first fixture. Well done to everyone concerned. If your child (girls and boys) is interested in joining the team please speak with Mr Edie, Sports Dept. Trinity Academy or contact Glenn Liddall, Parent Organiser – Trinity Academy S1 Football Team. Next Saturday, they play Forrester High school. The term ‘Budding Entrepreneurs’ was certainly appropriate when our team of eight pupils from the Business Education Department at Trinity Academy won a competition hosted by Edinburgh Napier University on Tuesday, 1st September 2015. Our team consisted of five girls and three boys. I was privileged to witness a team who were there to demonstrate their entrepreneurial talents. The day started off with an inspiring talk from the young entrepreneur, James Brown giving his experiences of a startup business. This young man started a craft beer company just after he returned during a holiday with his Dad whilst touring on a Harley Davidson! James was fascinated by the spirits of the people he met on their journey, brewing quality bottled beers by the side of the road. He had the young audience enthralled with his passion – not only for the product, but through working with like-minded people and having fun. After a quick break and with James’s story still in mind, our Trinity team set about on their own entrepreneurial journey and what a journey that turned out to be. Their product was a portable ice pack/heat pack that could be used to surround drinks/food. However, even more innovative was the flexible nature of the product. This flexibility enabled the product also to be used for sports injuries. The team expected the materials to consist of ‘gel’ for temperature control as well as an ‘insulator’ type material in order to prevent heat mixing. The product would be of an elastic substance in order for it to – flip inside-out – be worn on the upper arm/leg as well as covering all types of portable food/drink. Stages/sessions were located in both the Board Room and Headquarters duly provided by the University in order to make the experience as authentic as possible. Strict timelines were issued to the young Entrepreneurs. It was inevitable that several pressure points came with the tasks/timelines, during the day, but our young Trinity team handled, each situation, admirably and the prototype came to fruition just in time, in order to be demonstrated to the judges at the Trade Fair. Trinity Academy took a team of eight S2 pupils up to Napier University today to take part in their annual ‘Build a Business in a Day’ competition. Twelve schools were competing against each other to create their very own business idea. Our budding entrepreneurs had the chance to start the foundations of their very own business and pitch their creation to a panel of expert judges. In what was a packed day, our pupils participated in workshops, created their business idea and exhibition stands and presented their ideas to the expert judges. We’re pleased to say that Team Trinity won the competition and will receive their prizes at an evening celebration which they are attending along with their parents tonight.